A Lincolnshire charity has been given £54,032 by Lloyds Bank Foundation to help gypsies and travellers into employment. Lincolnshire Traveller Initiative will continue to provide training and educational support to local traveller communities with the help of the grant over three years. The charity says it aims to get more gypsies and travellers into work by helping them improve basic skills and gain work experience. It will use the grant money to employ an adult engagement officer and administrative support worker. 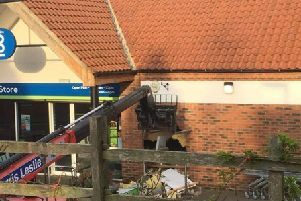 A spokesman for Lloyds Bank Foundation said: “With their new staff in place, Lincolnshire Traveller Initiative will be able to increase its offer of vocational training and support to more travellers throughout the region, providing a range of courses focused on good communication, improved literacy and job readiness. “The charity will also run personalised sessions to help with things like building confidence, writing CVs, improving interview technique and arranging work experience placements. Lloyds Bank Foundation also supports other charities - with more than £4 million donated across England and Wales in the first of three annual grant rounds.